Rebecca McKee, a native of Springfield, Missouri, received a Bachelor of Music in Viola Performance from the University of Missouri – St. Louis and a Master of Music in Viola performance from the Pennsylvania State University (Penn State) Her principal teachers include Raymond Page, William Lincer and Jeff Showell. 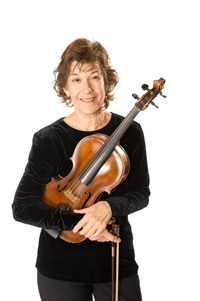 Rebecca has been a member of the Tucson Symphony Orchestra’s viola section since 1989. Rebecca is an active advocate for early childhood music education in Tucson, she is a registered Suzuki violin/viola instructor with a large private studio, a Music Together teacher (an internationally recognized early childhood music and movement program and she works with the Tucson Unified School District as a Music Integration Specialist. Rebecca is married and has a 17-year-old son. They share their house with two dogs and two cats.